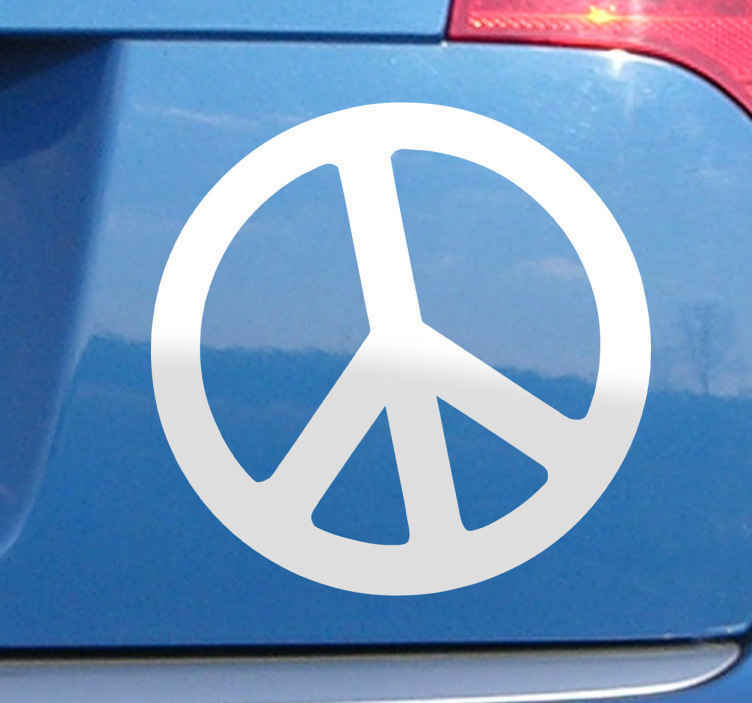 Simple yet effective original sticker of the renowned and universal pacifist icon. Do you plead for peace in the world? Are you an idealist? A person with morals? Then this monochrome decal is for you! You can place this logo sticker on any smooth surface; as a wall sticker, car sticker or laptop sticker. Use this versatile sticker to show love to anyone who sees it, no matter their religion, race or political view. High quality vinyl design available in 50 different colours and a wide range of sizes. Easy to apply leaving no residue if removed.